Good luck in MD, Michael Lee Jr.
Tuesday May 17 was Michael Lee Jr.’s last keiko with us before his move to MD. He survived his tachikiri keiko. Tachikiri keiko (立切稽古) is one kenshi doing kakari keiko (掛稽古) continuously with multiple kenshi, usually a few dozens in turns. In Aomori Japan, there is the brutal 3 hour long tachikiri challenge. In our case, the dojo uses the tachikiri to allow every dojo member to be able to keiko with Michael, to replay his life with us at the dojo, to say goodbye and to wish him good luck! Michael joined our dojo almost 5 years ago together with his whole “clan”. He started as a total rookie and recently in Denver he became a fresh minted 2 Dan. Michael, you are growing into a cute young man too. Good luck with your endeavors and come back to keiko with us when you can. You are always welcome! Baby Lee, 勿忘初心! SWKIF Fall kendo seminar will be held at Tulane University Student Recreation Center in New Orleans on the October 21-23 weekend. The Student Recreation Center is located at the end of Janet Yulman Way. Free parking is available at the Diboll Parking Garage in front of the SRC. Shinsa test up to (including) 4 Dan is held on Sunday. Here are the Registration and Shinsa forms. Tuesday May 24 originally is our advanced kendo/iaido night. 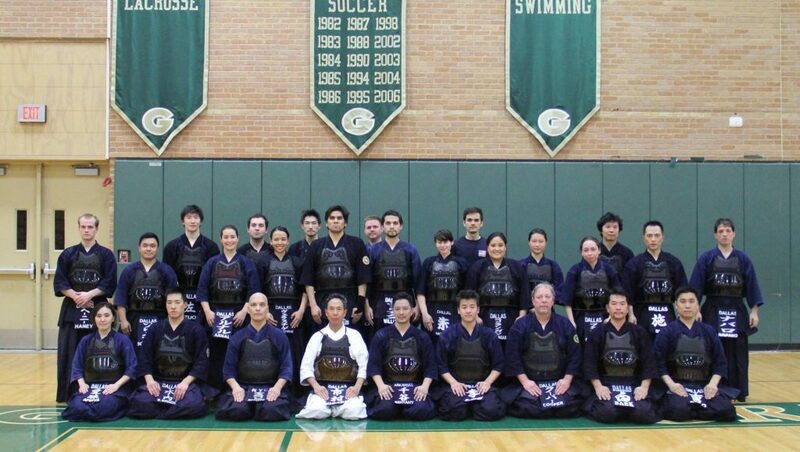 With the coming taikai, our sensei team decided to change it to Iaido ONLY. In preparation for the coming national iaido taikai, our Tuesday night advanced kendo on June 21 will be replaced with iaido practice. The dojo will be having a mock taikai training for all the volunteers. Please come to practice, especially all those with assignments. All our dojo members who registered to test passed their shinsa!! Congratulations to all! The Dan (incl. 1kyu) Level Shinsa board included the following sensei: Yuji Onitsuka, Danny Yang, Brandon Harada, Mark Uchida, Russell Ichimura and Michio Kajitani. 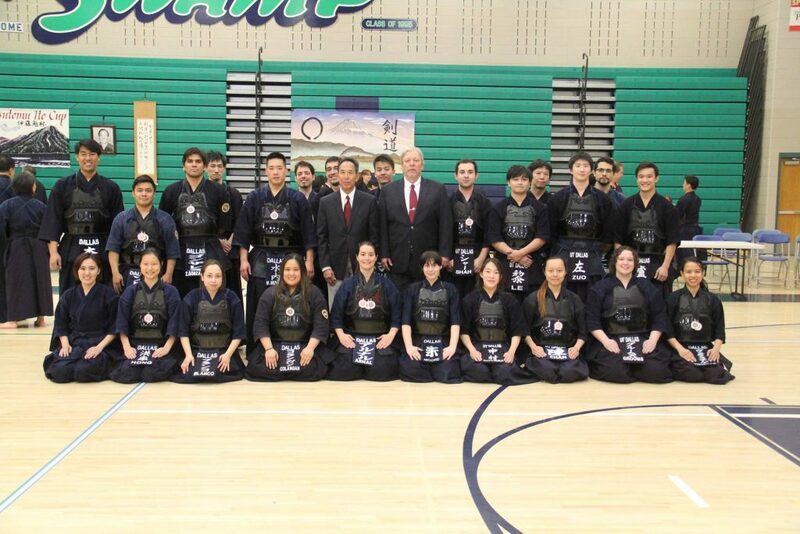 Our Dallas A team (Masayuki Mizuuchi Sensei, Reggie Solitano, Adrià Navarro Martín, Noemí Arnal, Zach Gonzales) won the 3rd place of the team taikai. And the Dallas Women’s Team (Denise Verastigue, Noemí Arnal, Jennyrayne Colangan) won the 3rd place in the women’s team taikai. 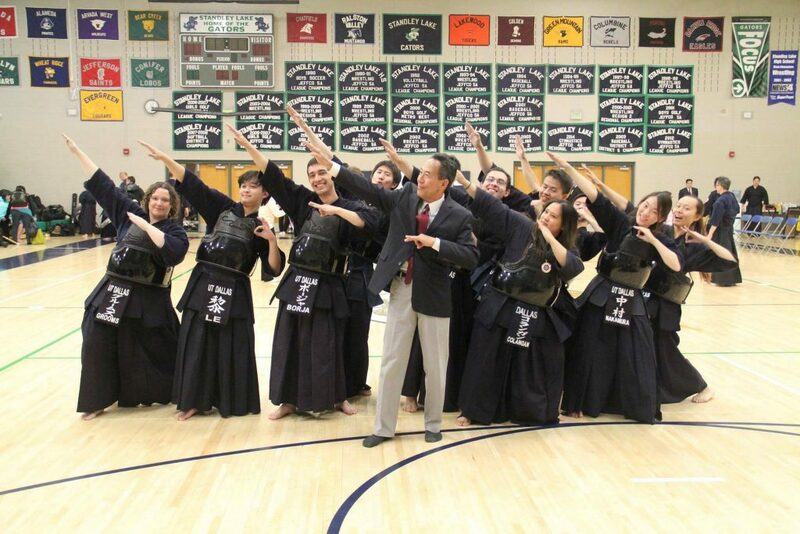 Great thanks go to our dojo’s great sensei team, led by our Ichimura Sensei!!! Many thanks to every dojo member as well!! !